President Donald Trump will remain in Washington, DC, even though the Senate has adjourned until after Christmas. 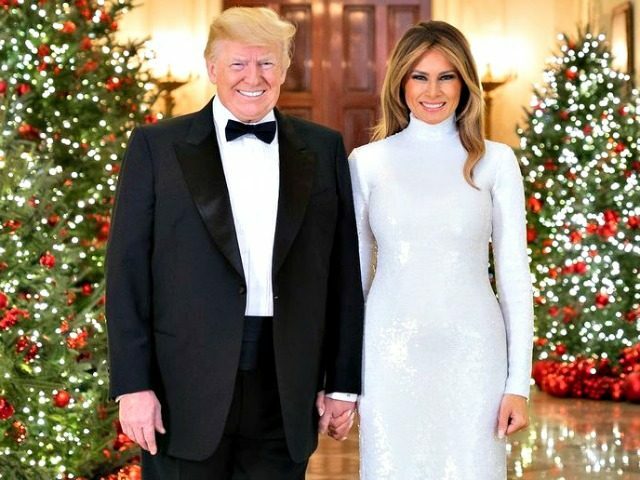 White House Press Secretary Sarah Sanders confirmed that the president would remain at the White House, while First Lady Melania Trump would return from their Mar-a-Lago resort to spend Christmas together with the family. The first lady and their son Barron Trump left earlier in the week for the Christmas holiday in Florida. Parts of the government shut down after Senate Democrats refused to pass funding legislation passed by the House that included $5 billion in funding for border security. The Senate adjourned until Thursday, as Senators flew home for Christmas. Trump defended his position, noting that he won an election campaigning for a strong physical barrier on the Southern border. Senate Minority Leader Chuck Schumer continued to complain that the shutdown was the result of a “Trump tantrum” despite legislation that funded the government having passed in the Republican-led House. House Democrats will take the majority in January, led by future Speaker Nancy Pelosi.